It seems as though every couple months I get dinoflage in my tank. It stays there for a while and then dissapears after a few weeks. I am wondering what would cause this and how I could avoid it. Discontinue water changes for the duration of the bloom. Use limewater (kalkwasser) for topoff water. Use additional buffer to raise alkalinity above 2.5 meq/L to as high as 3.5 meq/L if limewater does not raise it that high. Sipon out what dino you can through a filter sock to catch the dino snot and return the water to the tank. Use a lot of GAC and change it often to help remove the toxic exudates of dino. Some brown mat-forming cyano are mistaken for dino but the above actions actions are effective steps for cyano as well. Tanks with efficient algae filters seem less prone to microalgae blooms. If you are not familiar with adding limewater to a tank I would do some research, it needs to be added carefully to prevent extreme pH swings. High alkalinity also causes pumps and powerheads to need to be de-limed frequently or they are prone to seize up from lime buildup on the impellers. how many no3 do you have? Are you in no3 limitation? IÂ´m not sure in my afirmation but it would be an interesting experiment trought kno3 adition, until 10 ppm no3 adition in a few days. Last edited by Jk5; 01/31/2009 at 07:14 PM. An important result of our study is that GS activity (absolute values) was associated with high autotrophic biomass (up to 1000 Âµg Lâ€“1) and with low external nitrate and ammonium concentrations. Fan et al. (Fan et al., 2003) indicated that the dinoflagellate bloom-forming species, Prorocentrum minimum, correlates with low NO3â€“ and high NH4+ or urea concentrations. Our finding could have ecological implications for the dinoflagellate bloom in southern Chile. GS activity correlates with the use of ammonium as an external nitrogen source and is an important enzyme that converts glutamate and ammonium into amino acids in marine algae (Syrett, 1981). Thus, the observed pattern of increasing phytoplankton biomass and GS activity levels associated with a dinoflagellate bloom (r2 = 0.57, P < 0.05; Fig. 3a) may imply that GS is an indicator of dissolved ammonium utilization. There is strong experimental evidence indicating that G-S activity is higher where the ammonium concentration is low (Falkowski and Rivkin, 1976), as well as the fact that the GS activity in several marine phytoplankton species exhibited a high affinity for ammonium levels (Bressler and Ahmed, 1984). We suggest that phytoplankton single species are able to efficiently utilize low NH4+ levels mediated by GS reaction in coastal waters of limited nitrogen sources. I actually didn't have my comp. this weekend so before I could read this I had already done a big water change. The stuff is all gone now and things are looking good. However, how can I prevent this in the future? Jk5, what article did you get that discussion from? "Relationship between biomass and enzymatic activity of a bloom-forming dinoflagellate (Dinophyceae) in southern Chile (41Â° S): a field approach"
A mate had a several Falkenberkga pest, his tank was several infested by Falkenbergia (Asparogopsis). In 3 days he destroyed Falkenbergia, he was on nitrate limitation, and made an kno3 adition until no3 10 ppm in 3 days. What do you think about Theh? Last edited by Jk5; 02/03/2009 at 03:46 PM. It certainly sounds very interesting. I can't say from personal experience though, as I have not tried it myself and I'm not having any algae problem right now. I will recommend KNO3 addition to people with chronic pest algae problems in the future, and see if they observe the same results. I am dosing KNO3 at the moment in the battle against cyano. I had a small accident with vodka dosing, and was nitrate limited for a short period of time. This resulted in a heavy dinoflagellate and cyano outbreak. I did a 2 days total blackout and dosed FM algen x. The dinoflagellates almost dissapeared, but it did not help on the cyanobacteria. After siphoning, I started dosing KNO3 until i reached 3-4 ppm NO3 as I believe this helps against cyano. This far it seems to help keeping both away. Yesterday I measured NO3 as the cyano seemed to be coming back. NO3 level was undetectable or at least below 0,2 ppm (salifert). I started dosing KNO3 right away, and will try do keep the NO3 level up for some time. 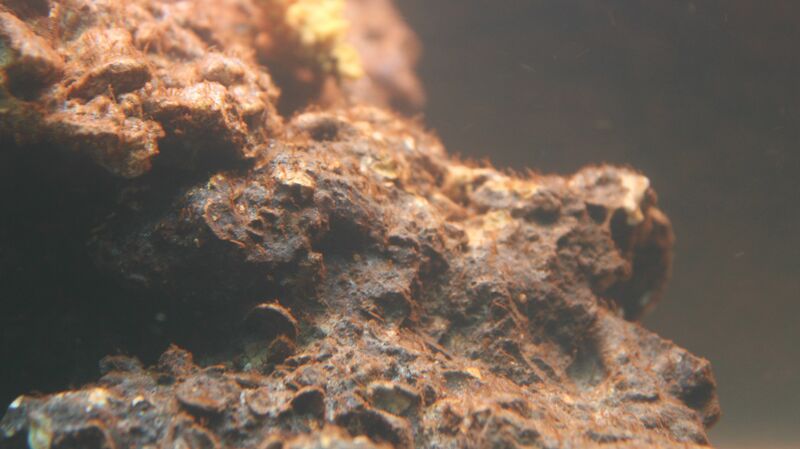 IME established reef tanks can soak up a lot of dosed nitrate in just hours. If you are trying to maintain a constant level of nitrate thats measurable it may be necessary to use an automated doser or a slow drip. It's true that increasing the N:P ratio is likely to change what algae are dominant, and may retard undesirable microalgae and cyano. But I'm not sure how predictable the results of N-dosing iare. We are frequently dealing with levels of N and P that are too low to be accurately measured so it's hard to gage what the N:P is to start with. And the pore water just beneath the surface of the sandbed may be very different than the general water column you are measuring, and it's nutrients in thet pore water that are feeding mat-forming cyanos IMO. Outer reef waters are oligotrophic and we try to maintain those conditions in our tanks. Adding nutrients is counterproductive, or at least counterintuitive, to that goal. However I think cautious additions of nitrate and iron can be helpful to the health of the tank in certain circumstances. I would consider the basics - like using limewater for makeup water - before undertaking dosing nutrients to resolve dino/cyano issues. In my case, I had to dose NO3 anyway as my SPSs were suffering from N depletion. As this seems to keep cyano and dinos away, I would like to dose a little too much, rather than too little until the problem algae is gone. BTW, my SPS are looking much better now, and actually growing again. nitrate limitation is a known factor for pests. and the other 10% suffered any episody wich made other N compounds like Nh4 had a high ratio above nitrate. IÂ´m waiting to see a strong dinoflagellates pest if we can fight dinoflagellates with kno3 adition. How do you know you have Dinoflagellates? Coming and going in relatively short cycles doesnt sound typical for Dino's. Usually once they appear they are a PITA to get rid of. My guess and this is only a guess is that you have Diatoms being brought on by some sort of nutrient spikes. To the best of my knowledge it takes microsopic examination to tell the difference. Bump. Interesting read. Did any of you conclude that the KNO3 did in fact kill the dinos? 225 gallon SPS dominant. Reef octopus dual cx reactor w/ AP regulator . Vertex alpha 250,Apex, ATI 8X80w BML XB Super actinic strip , Aqualund bio pellet RX, 3 MP40s. Current Tank Info: 230 Rimless. Those look like dinos but I don't see bubbles.. Do you have stringy bubbles? How does nitrate limitation happen in the first place? Does this align with red tide blooms in nature too? What's the role of carbon here? how.. old thread.. yes, many people have found that dosing nitrates can curb and ultimately push dinos off the edge. Can I ask what you are dosing with and are you automating or manually dosing to raise up to 10ppm? I'm trying to read about dino, and a lot of information seems contradictory. I've read that elevated NO3 levels can promote dino, but your saying that many have killed it by keeping NO3 can keep it under control. To what level do people dose, the mentioned 10 ppm, or some other value? Also, wouldn't an easier way to raise NO3 be to remove some macro algae or skim less often? fundamentally, my experience is that the dinos take over when the natural competition (algae) is decimated - usually chemically. So - algae is your friend. Skimming less does help, but it's not enough. What you want to do is return back to the natural state where nitrates and phospates are being consumed by algae. that natural competition pushes the dinos back into recession. They never go away - they're like viruses... always there. But if your algae is healthy, they keep them under control.